I would like to thank all of you who have been following my blog for the past 8 years. I have changed a lot together with it, and as 2015 comes to a close, I feel like the time has come to finally upgrade this chapter into a similar, but different path. This blog, 'coquettishmish' has seen a lot of support and good times from all my loyal readers, lovely sponsors and partner brands. My new site, new name and new persona is now MISHVENTURER. I kept the 'mish' from coquettishmish, and fused it with adventurer instead. Expect more life adventures and things that I really love – filtered and targeted for those who live their life to the fullest. With this change, the name is used on my new site, my Instagram, Facebook and Twitter page too. I'm keeping this blog here for memory's sake, but I would like all of you to follow mishventurer.com for future updates and posts. After leaving the quaint little town of York, we drove and drove (cheered when we passed by the border between England & Scotland – it was actually just a signboard that says "Welcome to Scotland') and found ourselves surrounded by hills and valleys and A LOT of sheep!! I think the sheep honestly outnumbers the entire population of Scotland, there's just so many of them everywhere! 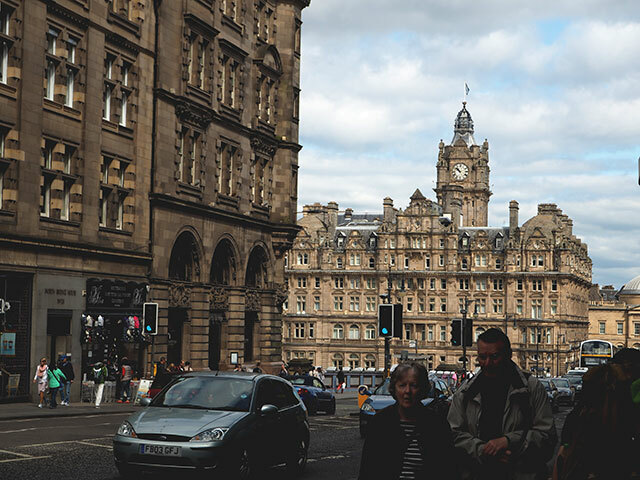 Before we start, I want to clarify that we are traveling by car from our point A, which is London, and if you are planning to do the same, you should probably read a bit on driving and other tips from my first post. Driving is probably one of the best ways to really SEE a country. 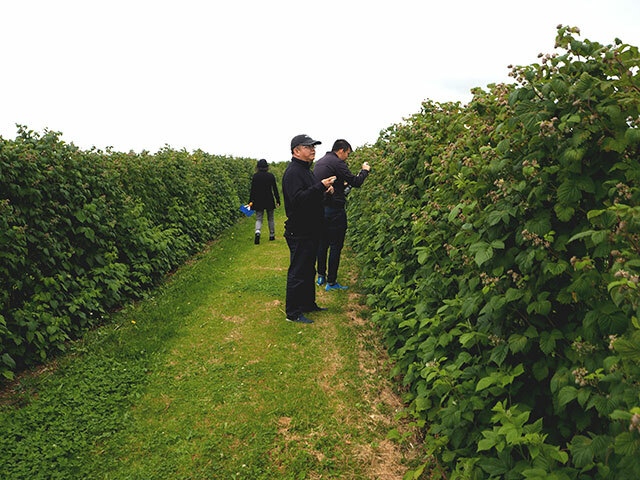 For instance, on our way to Scotland, we saw a sign for strawberry picking by the road and decided to make a spontaneous stop. 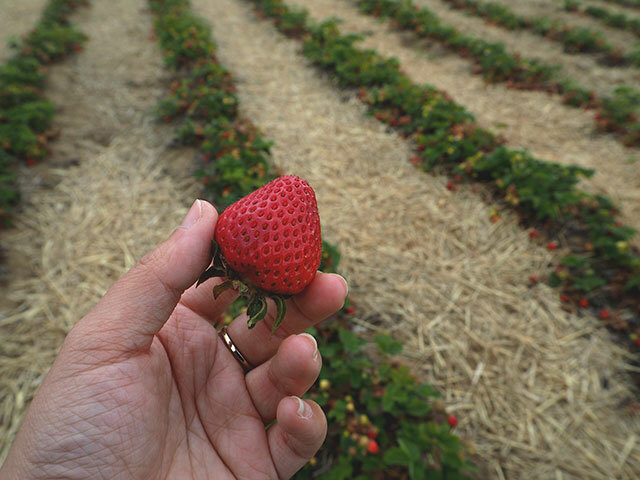 It was little place called Highmoor Farm which has an orchard of various berries – strawberries and gooseberries were in season but the other few were not in season yet. 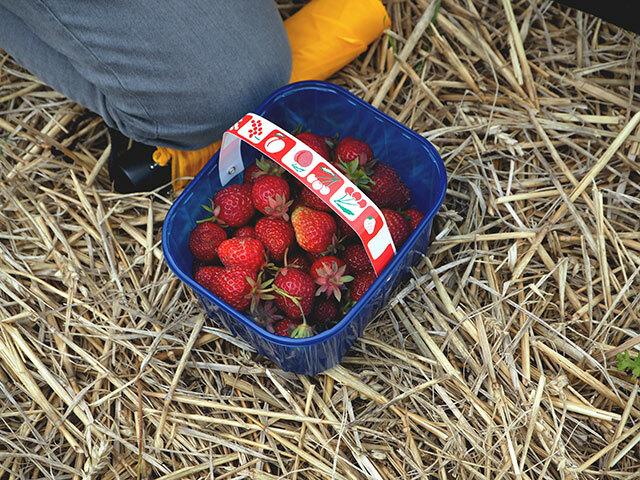 The rules are simple, fill up our baskets with whatever strawberries we can pick and pay by weight. 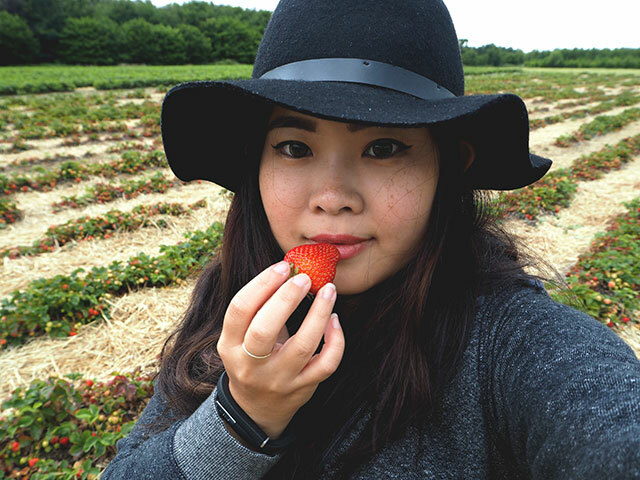 We each took a basket and set off to the freezing cold orchard (I swear it was drizzling a little too) and started picking our strawberries. There was just so many of them! We were not really supposed to eat them, but we sneaked a few just to see if they're sweet. The sweetness varies but most of them were pretty nice. 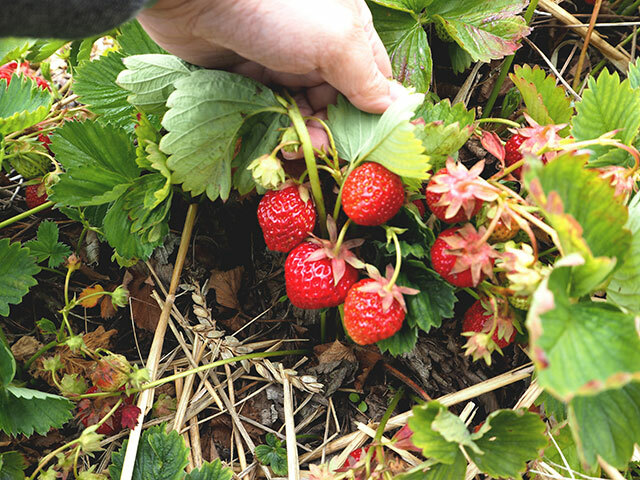 We gave the gooseberries a try and didn't like them, so we decided to just stick to the strawberries we have picked. After weight and paying, we loaded our pickings into the car and continued our journey to Scotland. 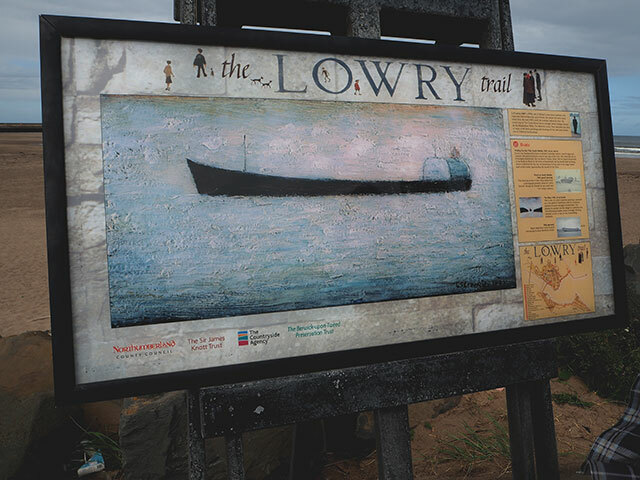 The only other stop we made was by Berwick-upon-Tweed where we stood by the starting point of the Lowry Trail. The trail is mostly for cycling and it leads up Northumberland. We obviously didn't hit the trail as we do not have bicycles, and we were freezing our butts off! The wind was very strong and cold, seeing as how we were by the seaside. 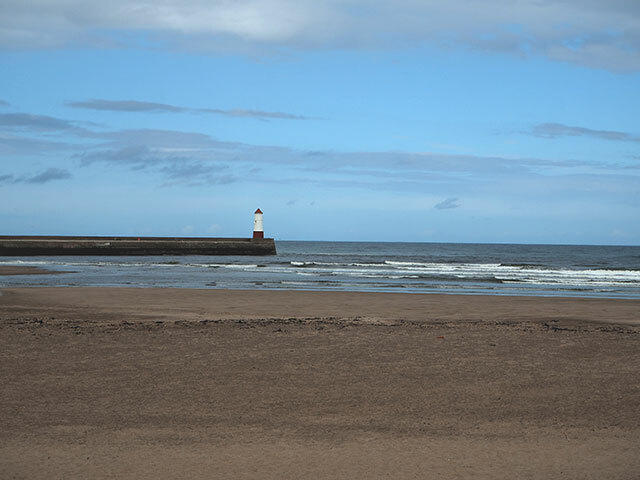 The scenery was nice though, and we could spot a lighthouse a little way out. 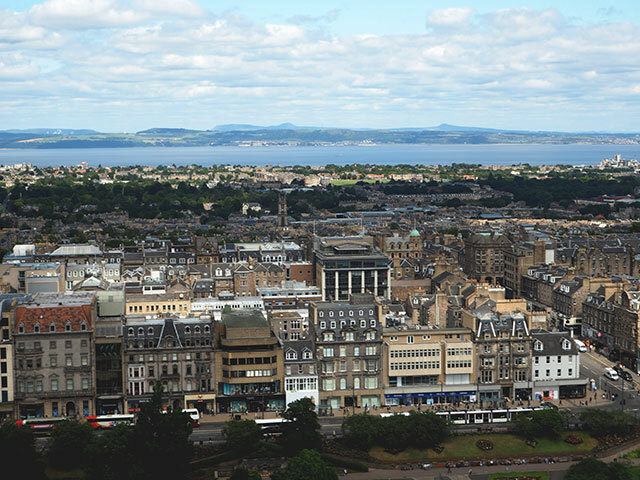 We will be staying in Edinburgh for this trip as we only have a limited time in Scotland. 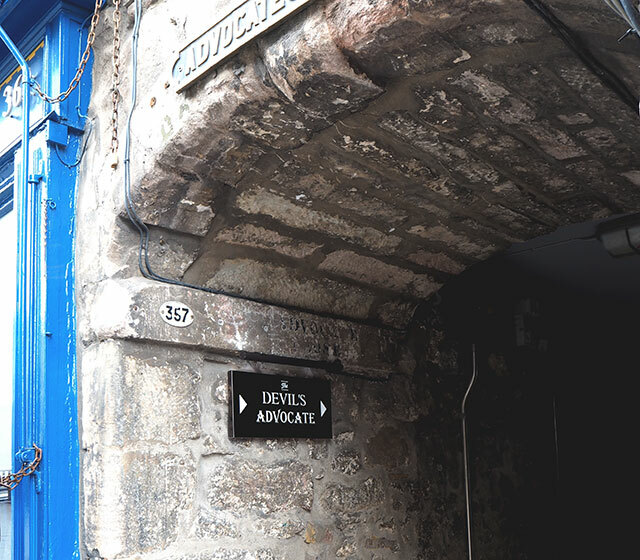 Our accommodation in was at the Edinburgh Pearl Apartments. The apartment was spacious and clean, but had no elevators so we had to climb 4 flights of stairs each time, and the water pressure was really poor. The stay was fine overall, but a few improvements could be made. 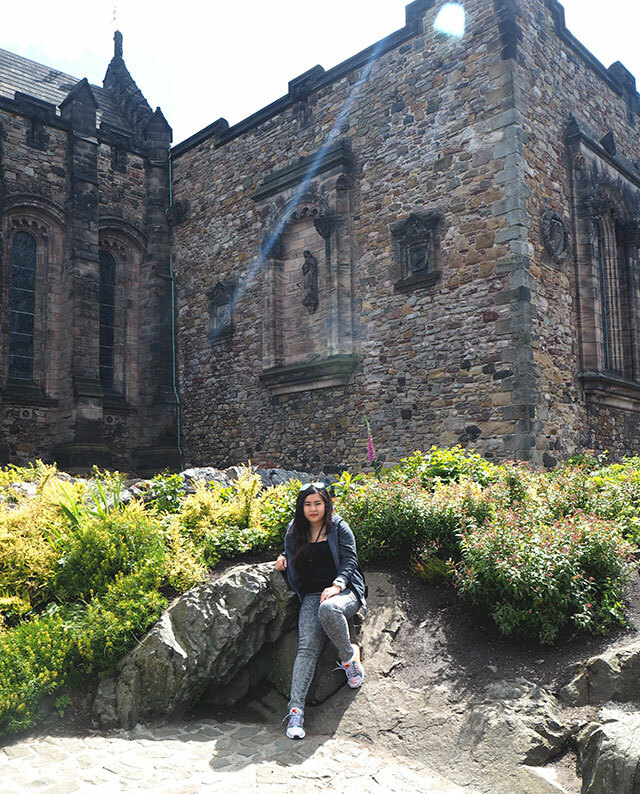 Edinburgh is the type of place where you should drive, park near the attractions and walk for the rest of the day. Driving here though, is no walk in the park especially in a manual car. The slopes are steep and the road signs can be a little misleading. 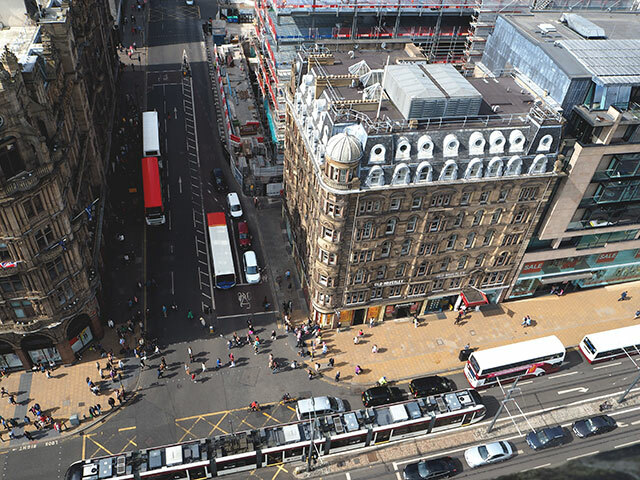 We once drove on a taxi lane that made many drivers very angry with us. 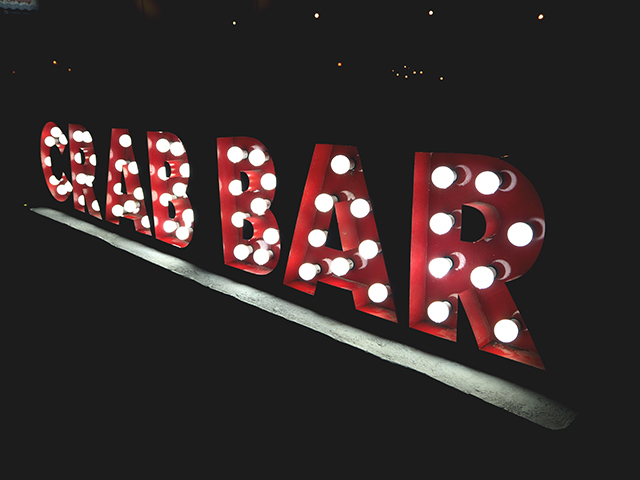 Parking is also scarce, so just know where you are heading to and plan ahead. 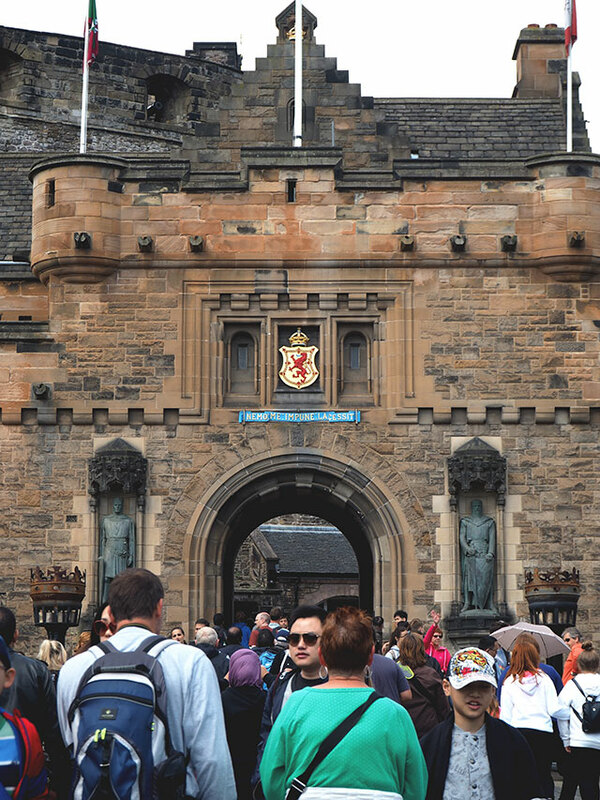 Our first and main reason of being here is of course, to visit Edinburgh Castle. 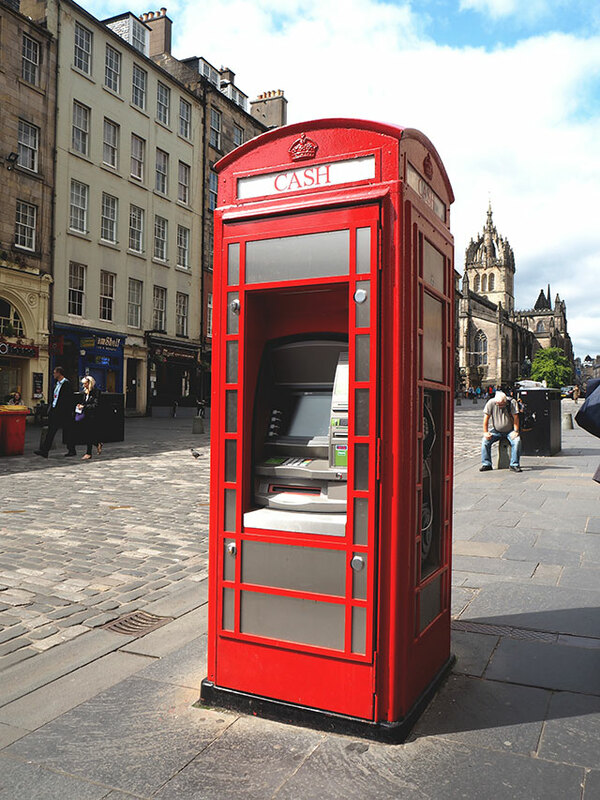 As Edinburgh is split into two – the Old Town and the New Town – we decided to take a walk around the Old Town first because this is where you would find the cobblestone streets and centuries old buildings that have now transformed into shophouses whilst still maintaining the aged-façade. 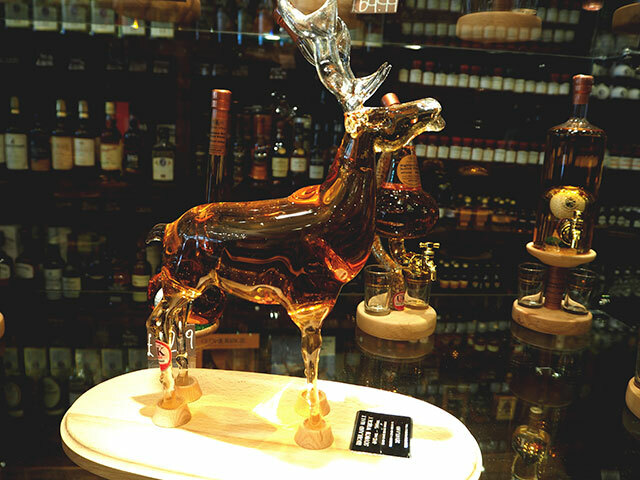 There was a particular liquor store which I really liked – bought my boyfriend a metal flask here. And cathedrals! Lots and lots of them all around, big and small. 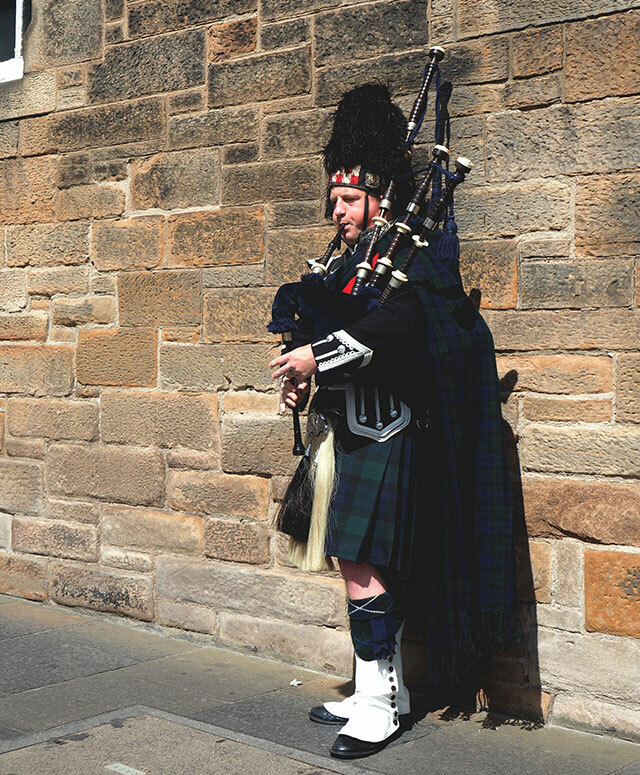 I was extremely excited when I spotted my first kilt-clad Scottish man playing the bagpipe. 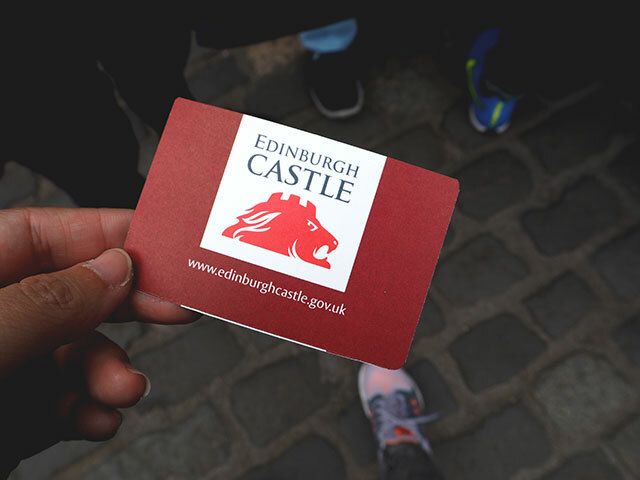 Edinburgh Castle resides in the Old Town, of course and I would like to advise you to come as early as possible. 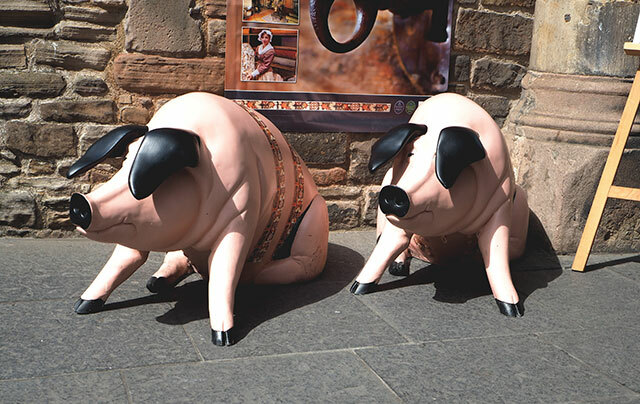 The queues can be really long. Or, book them online if you wish. Adult tickets cost us £16.50 each, which was worth it. The castle is HUGE! 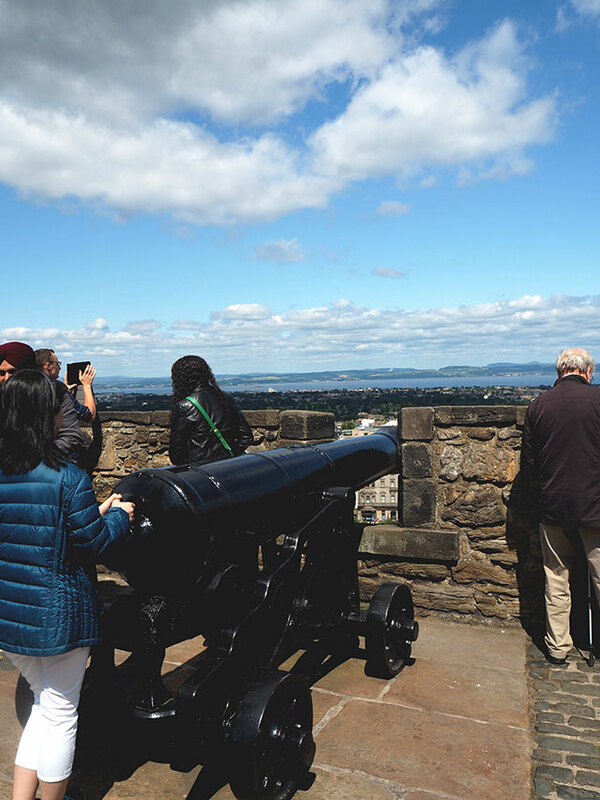 You can get a nice view of the city at one of the higher viewing areas where ancient cannons are lined up neatly for visitors to take photos with. 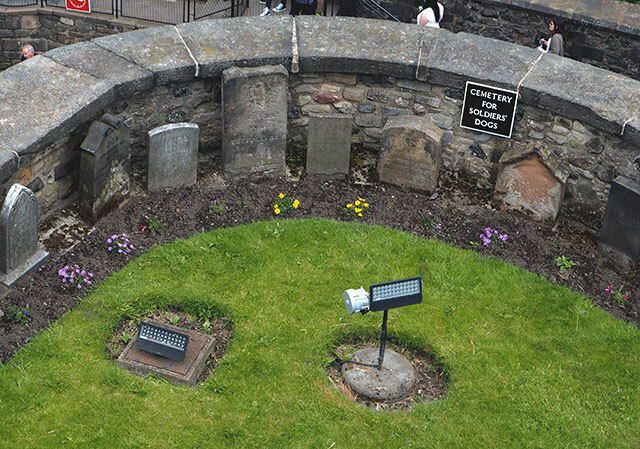 At one of the points, if you leaned over and looked down, you can spot a tiny cemetery for all the dogs who lived in the castle, it really is quite cool. 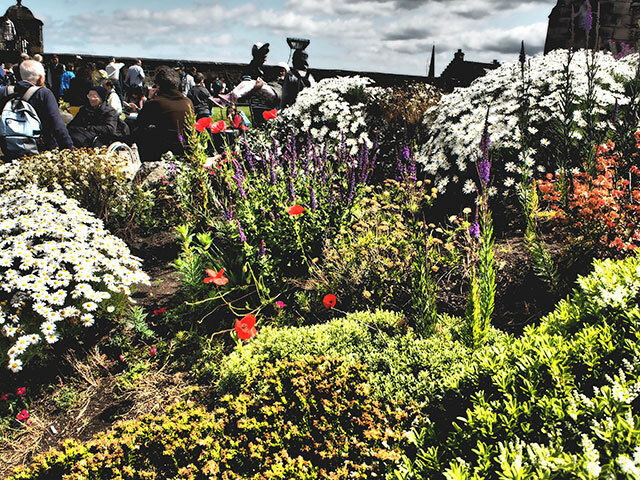 And the gardens, my mom was very impressed with their beautiful gardens within the castle. 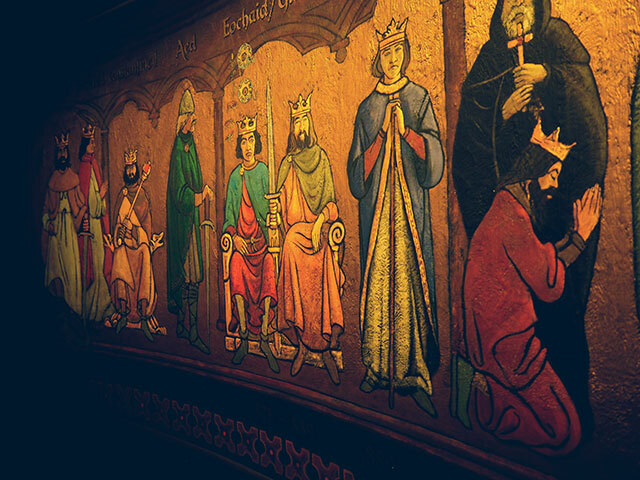 The Scottish are very proud of their heritage, especially the Crown Jewel – which are the crown, sceptre and sword of state. The sceptre was presented to James IV by Pope Alexander VI in 1494 while the crown was first worn for the coronation of his wife Mary of Guise in 1540. 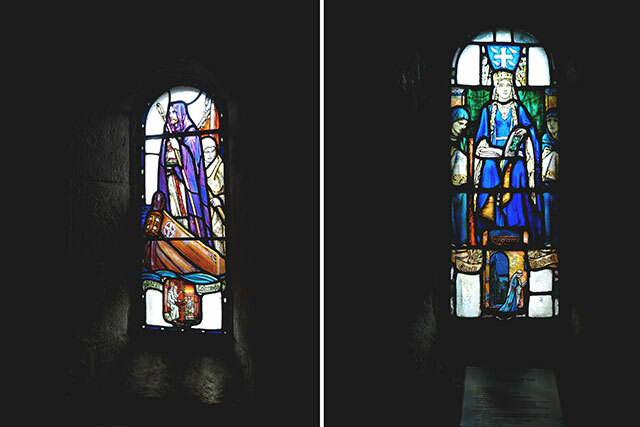 They were first used together for the coronation of Mary Queen of Scots in 1543. 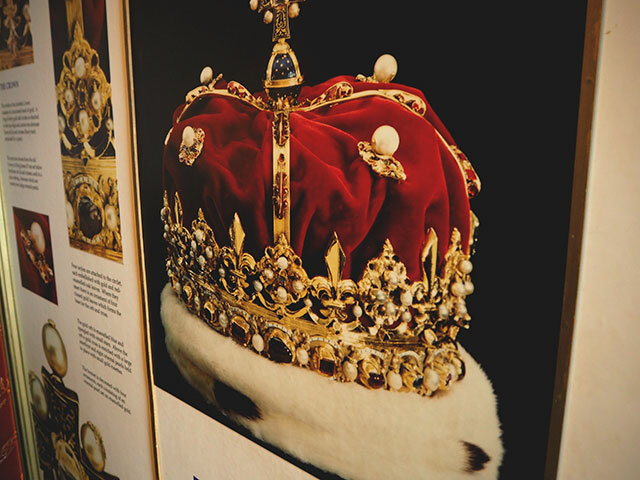 It is a long, illustrious history (which involves drama and the Crown Jewel going missing for years) which would definitely fascinate visitors like me who are hearing about it for the first time. In fact, the exhibition building is elaborately designed and furnished with all sorts of props to tell the story – before finally seeing the ACTUAL Crown Jewel itself in the very last room. 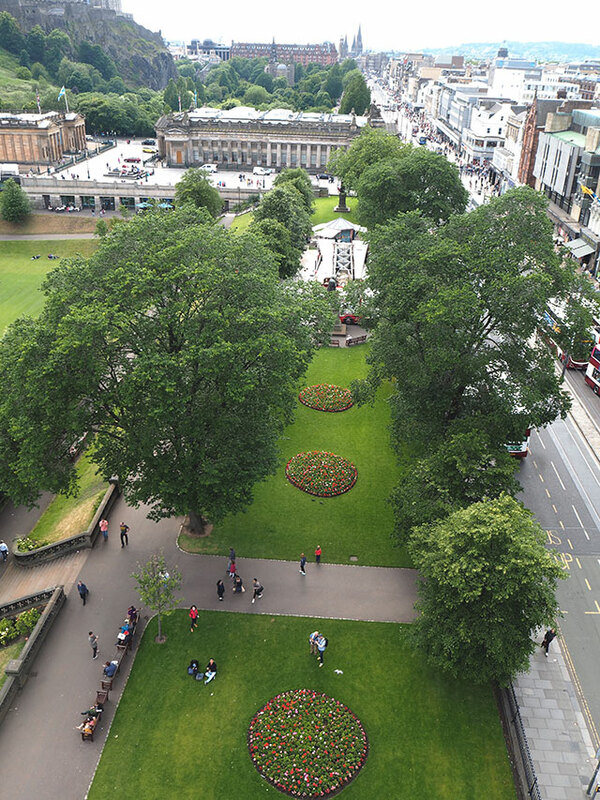 Just along the bridge, you will find this gorgeous park called Princes Street Gardens which is a haven for joggers, dog walkers and for those who want to lay on the grass. It is very cold though (for me, at least) so I wouldn't recommend lounging around on the grass with the blowing wind. 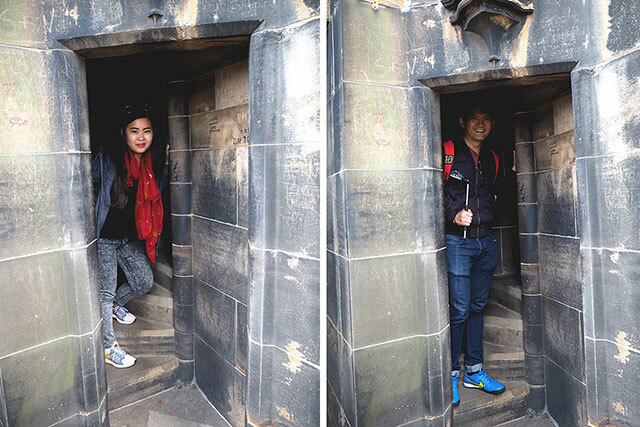 At the very edge of the park, we found this tall, gothic building called the Scott Monument. And I did something I never thought I'd ever do. Christopher wanted to go up and explore and I was skeptical about it because it looks really narrow for one, and for another, it is very tall – I hate heights. But I don't know what came over me, I decided to follow him up while our parents decide to lounge on the grass below to watch us. £4 each, and the man led us to the narrow tower, which had a pretty narrow staircase and it was the spiral sort. UGH. What did I just get myself into? The first level was fine, and I think there were 3 rest stops along the way up where we were able to walk about the narrow space to take photos and wave to our parents below. 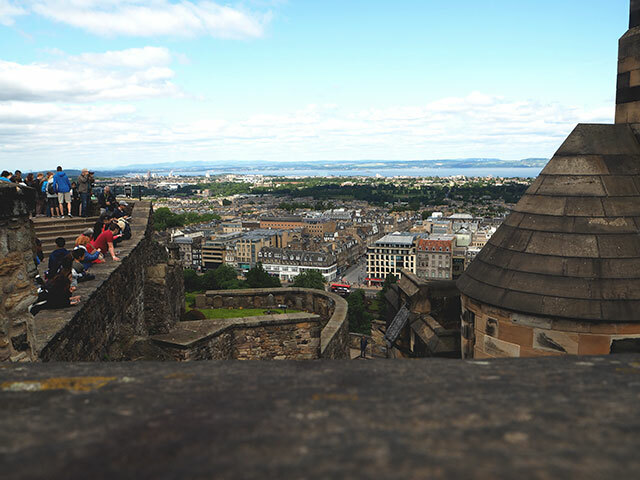 That is our only full day in Scotland (we are on a road trip after all) and so, we enjoyed our last night here as we pack up to hit the road again. 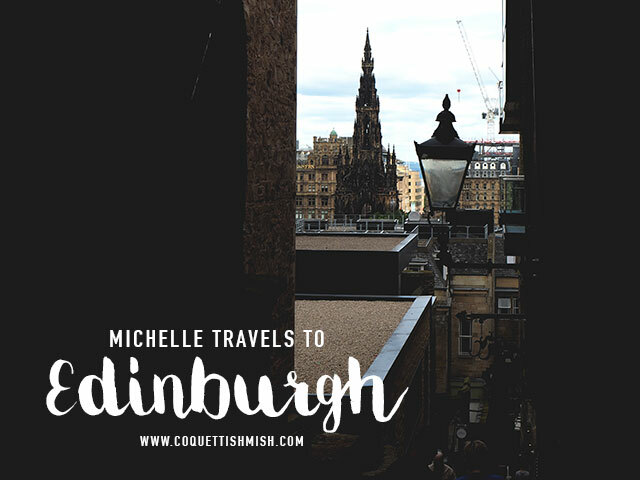 The next day, we made our way to the Royal Botanic Gardens of Scotland, but I'll leave that for the next post because there are way too many amazing photos to share! Until then! It took me a very long time to finish writing and editing images from my Bali trip, but this here is FINALLY, the last post. My London trip that happened in July sort of delayed me as I wasn't keen on bringing my Macbook Air along with me on the trip, for obvious reasons. 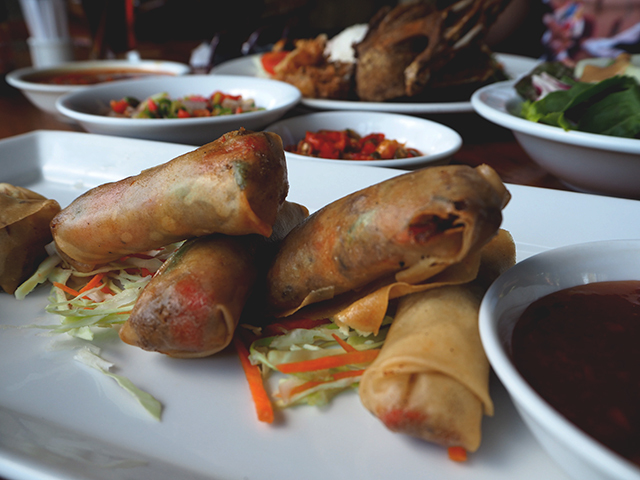 After writing about the fun stuff you can do in Bali to the amazing temples that can be found here, I want to show you some of the delicious food we managed to find here. 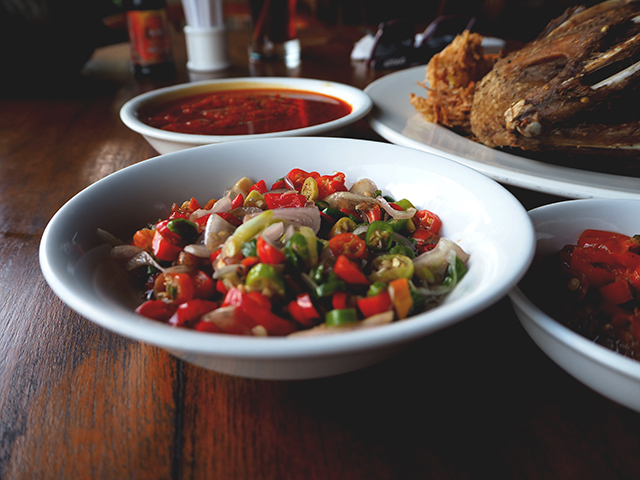 Bali is famous for its pork and duck dishes, seafood as well, and I think a lot of credit goes to their use of herbs to season and for the sauces. 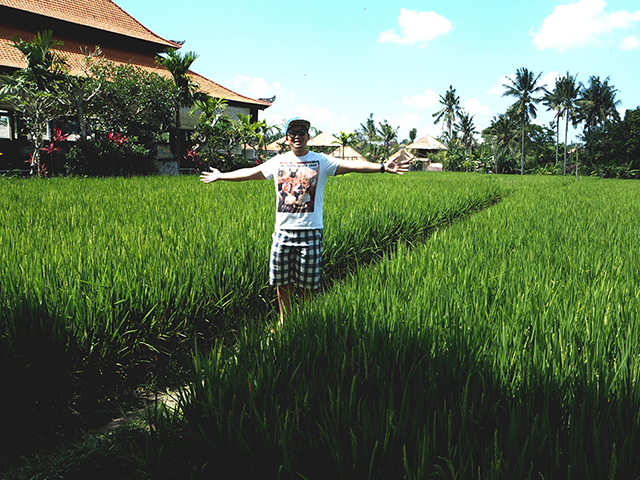 If you are keen on heading to Bali for this very reason, well, I can tell you that you will not regret it! 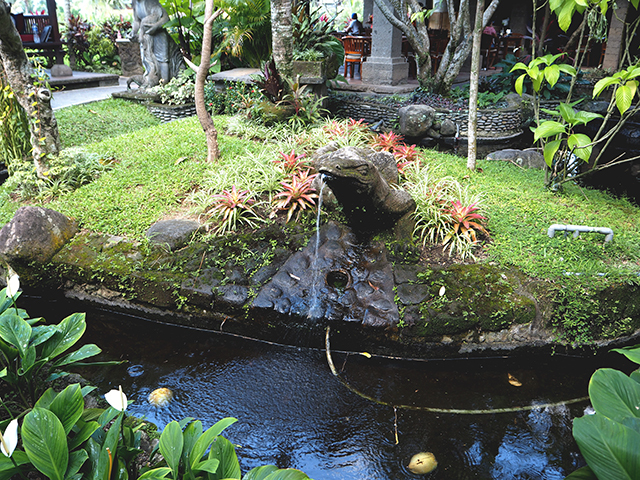 But first, read my post on travel tips when in Bali. 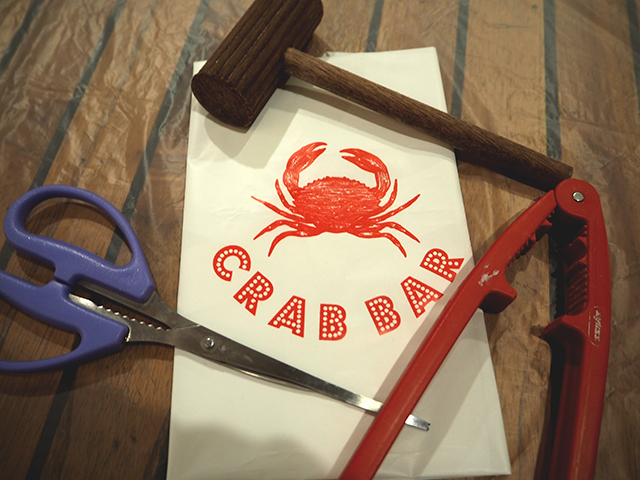 As far as seafood goes, Crab Bar in Bali serves one of the bigger, more delicious crabs in town. 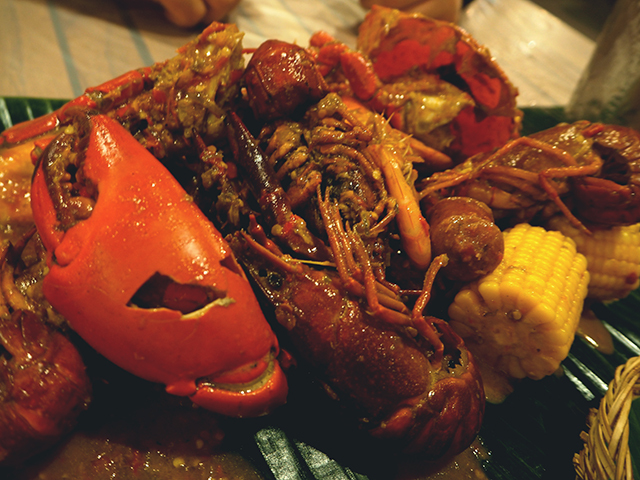 The seafood comes in various packages and we picked a mixed package which has crab, yuppies, prawns, corn and sausages. 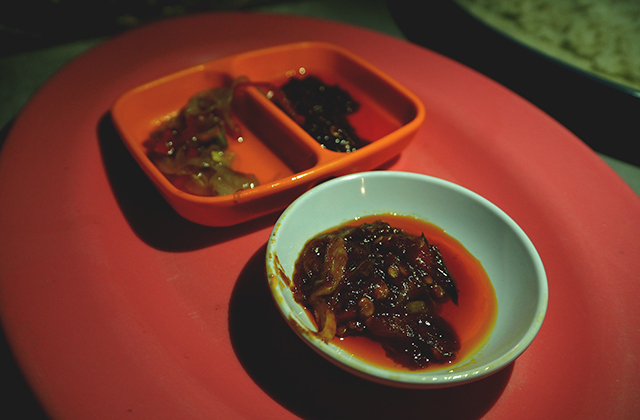 The sauce was definitely on point and all of the seafood were cooked in a bag with the sauce to give it a concentrated flavour. 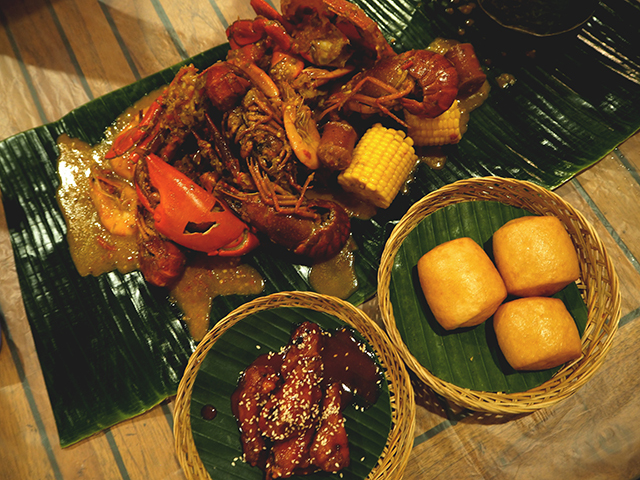 The food is then poured out onto a banana leaf (you can see a glimpse of the action in our Bali Vlog) when they serve it, with a side of fried buns (mantou) and sesame chicken wings. Verdict? It was all so good, we cleaned up the entire platter with relish. 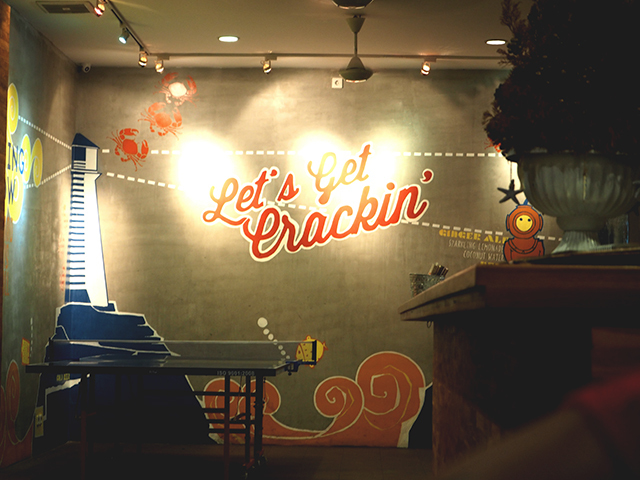 It is definitely a little more expensive than most seafood places, but it's really worth it. 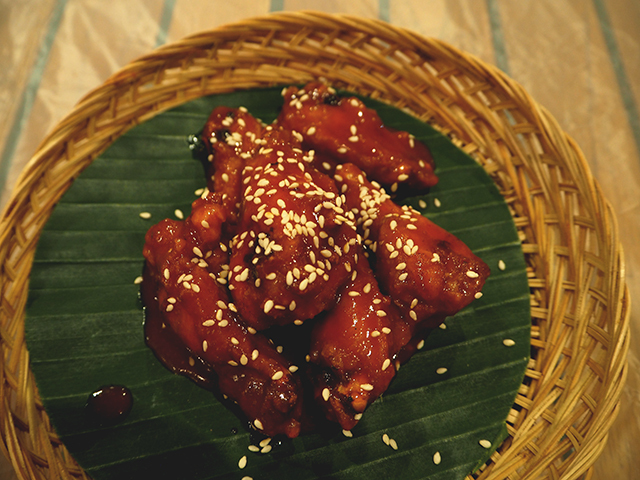 Oh, and their spicy wings are also awesomesauce – my boyfriend loves them. 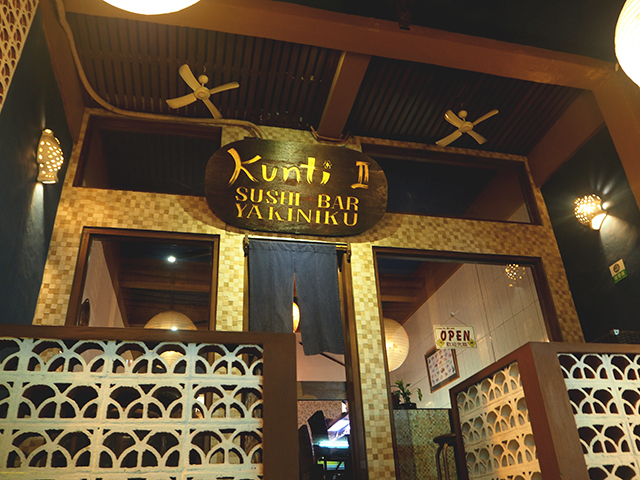 We never expected to find good Japanese fare in Bali – BUT WE DID! 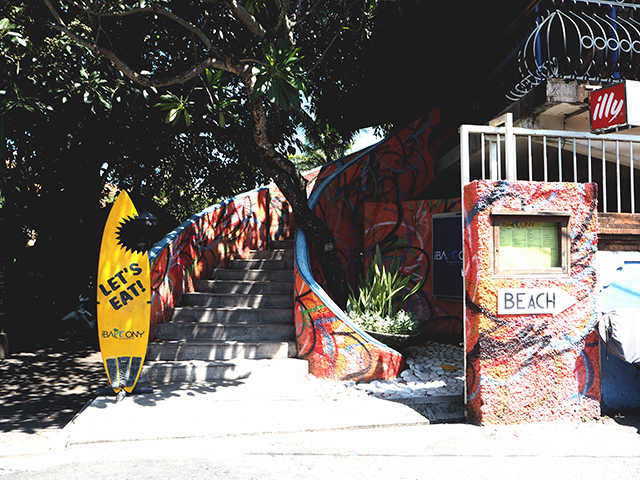 And in Kuta too! Okay so this place was a minute away from our hotel, and we decided to give it a try because we love Japanese food. 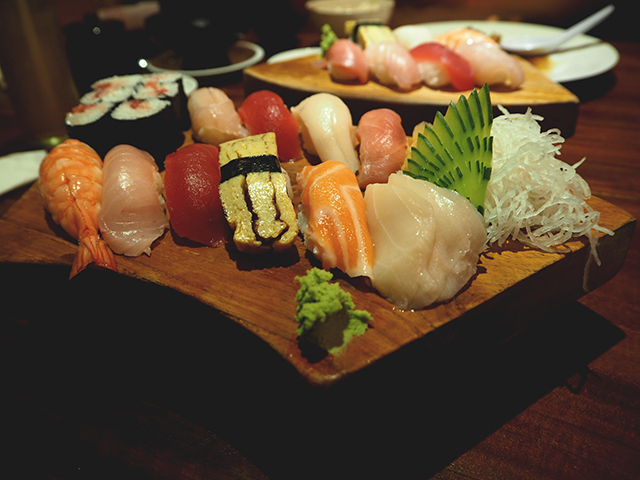 I wasn't expecting much, but it was so good, the sashimi was fantastic because the fish was so fresh and the sushi was very well done. And to top it all off, it was so cheap! I got an amazing sushi platter for so much less than what I would pay here in Malaysia for sub-par sushi. One of the best Japanese meals I've had in my life. 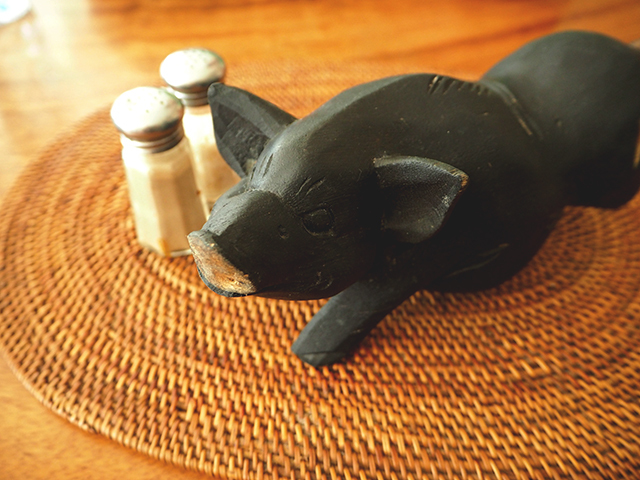 The place for BBQ pork ribs. It was pretty good and I loved the sauce and how tender the meat is. 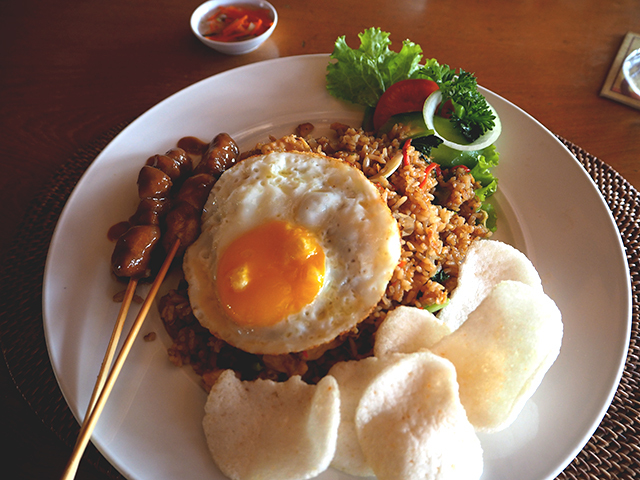 Served with either rice or fries, this place is swarming with tourists when we entered. It seems to be really popular and rightly so. 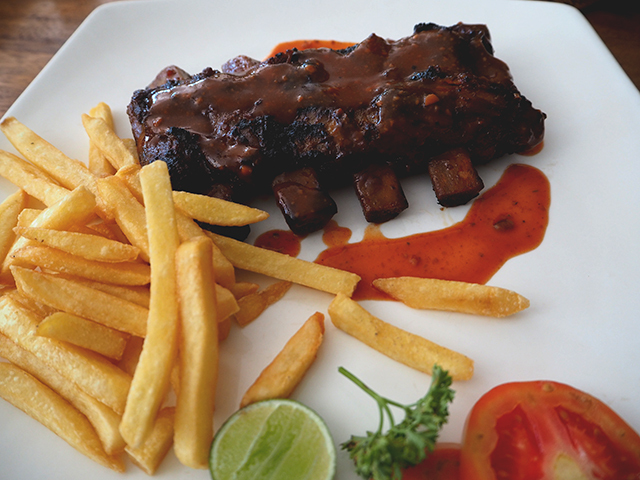 They only serve pork ribs here, so there isn't much choice for people who do not eat pork or vegetarians, so just be sure that your party does not include anyone with specific diets before you come here. 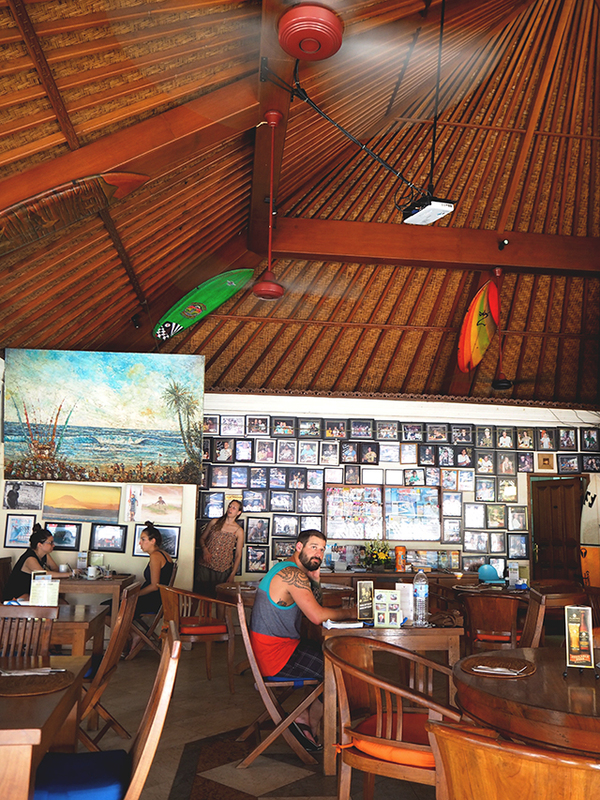 As part of our tour package, we finished our Kecak Dance show at Uluwatu, and then head over to Jimbaran Bay for a seaside dinner. There were so many seafood restaurants, I am not too sure what our restaurant was called, but it's one of the lot. 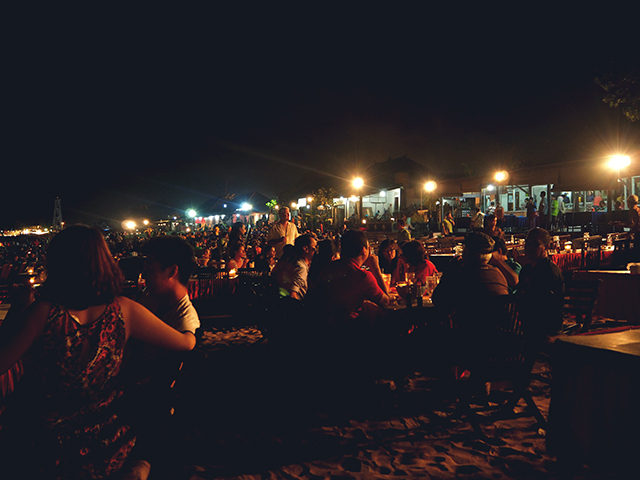 Everyone dines by the beach and I hear that at sunset, it is very lovely. 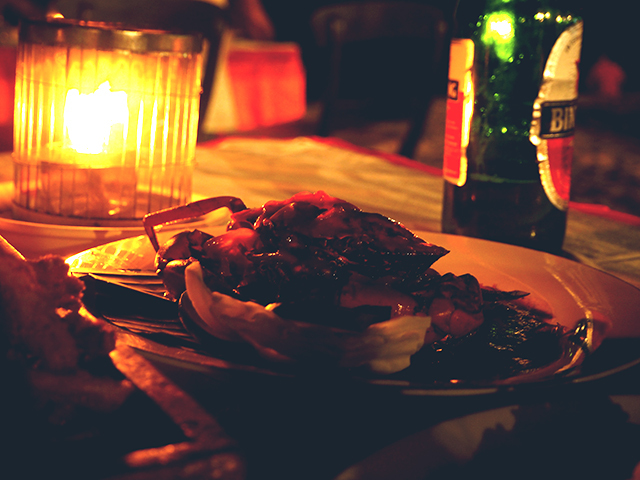 Unfortunately for us, the Kecak Dance show starts at sunset, so our dinner was candlelit (but a little too dark). 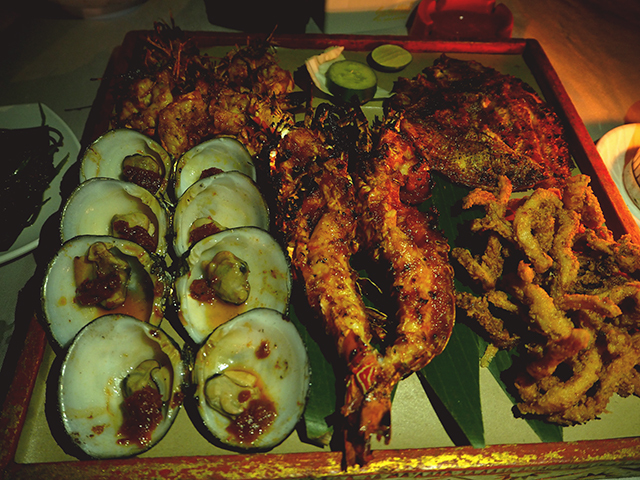 The food comes in a large set of crabs, clams, fish and various other seafood. The sauces were nice but the seafood were not as fresh as they should be. There was a live band (of 5 men) going around to serenade guests table-by-table. Just be sure to leave them a nice tip. 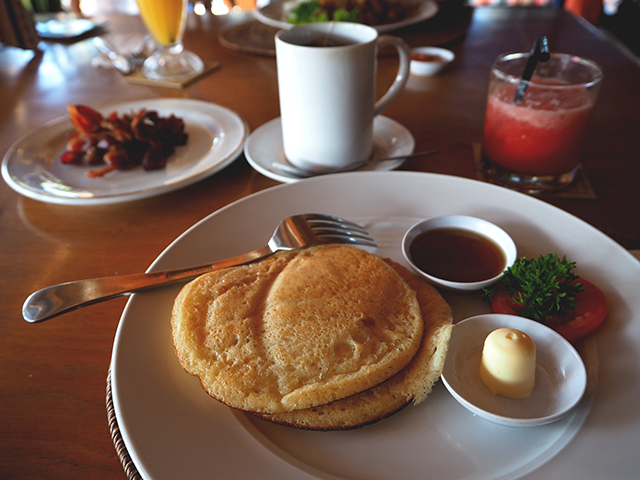 This was perhaps one of the things I looked forward to try during this trip – and was thoroughly disappointed with! This place came highly recommended, but unfortunately, it wasn't very good. 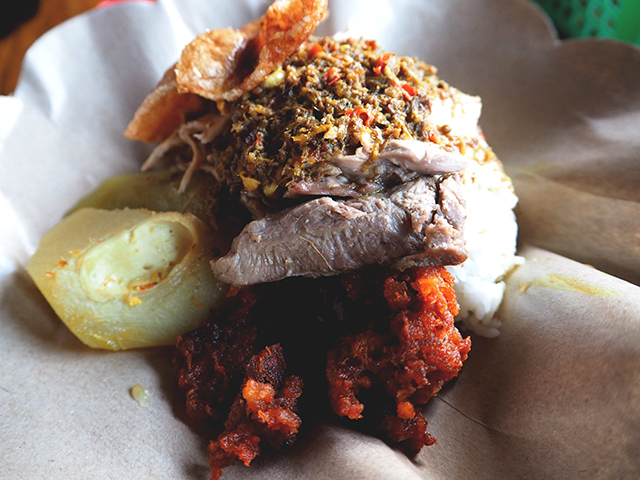 Babi guling, or roasted pork is a very popular dish here in Bali, and there are many places that serve this celebrated dish. Ibu Oka was a top recommendation so we were pretty bummed that when we had our fill, the pork crackling was hard and wasn't very flavourful. The rice and sauce was bland, and there's so many flies! It wasn't an enjoyable experience. 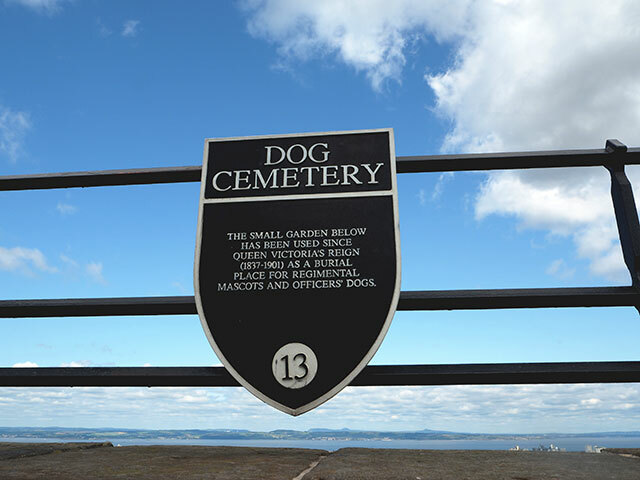 A lot of visitors have also expressed their disappointment on TripAdvisor. 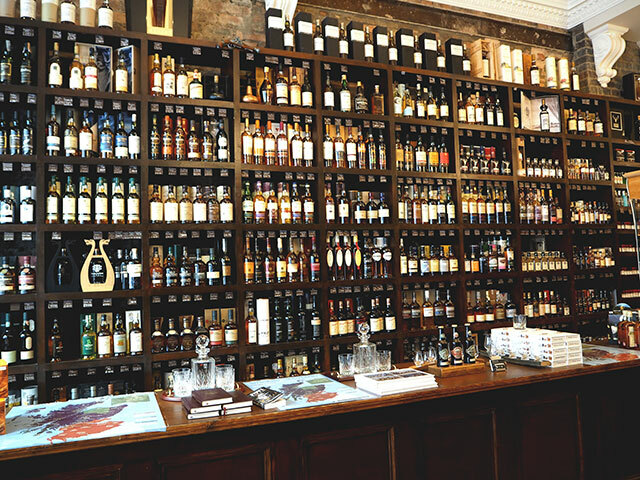 UMMM, PROBABLY THE BEST PLACE EVER! 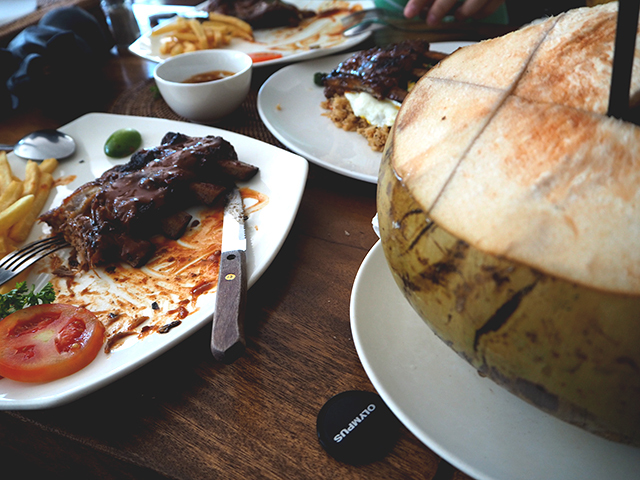 I think out of all my food trips, this is probably one of the VERY best. 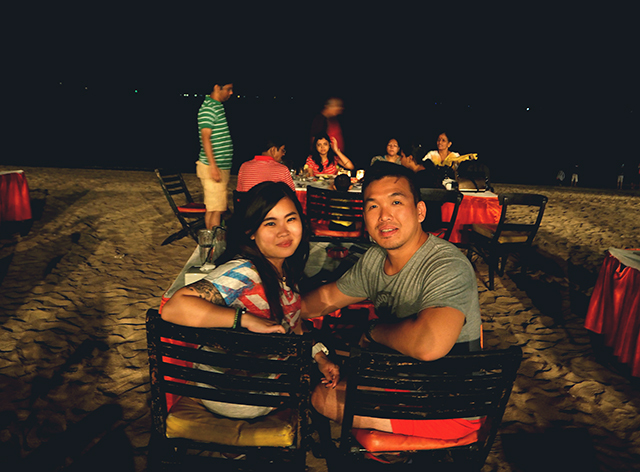 Food was amazing and the surrounding atmosphere.. divine! 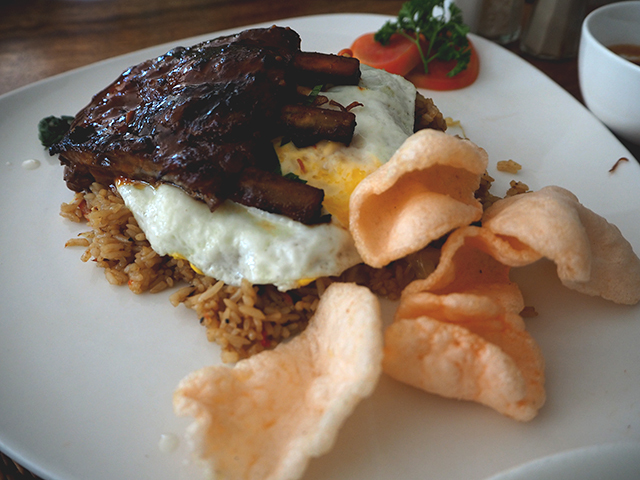 Okay so the name Bebek Tepi Sawah literally translates into Duck By The Paddy Field or it's new name Bebek Bengil which translates to Dirty Duck Diner. 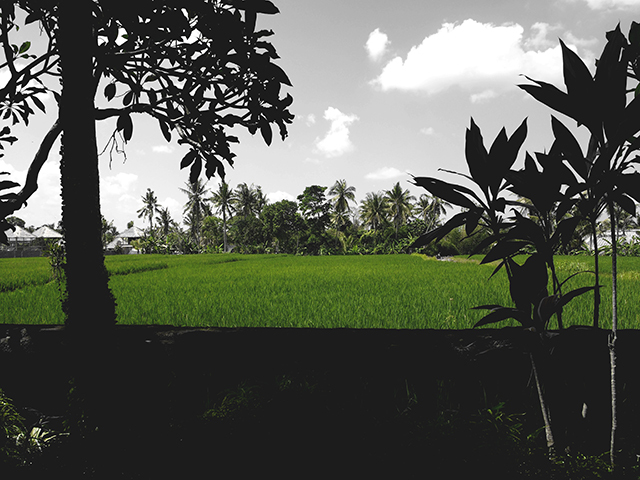 The restaurant (this is the Ubud branch) is right next to a sprawling paddy field, and there is a nice breeze and scent of grass around. 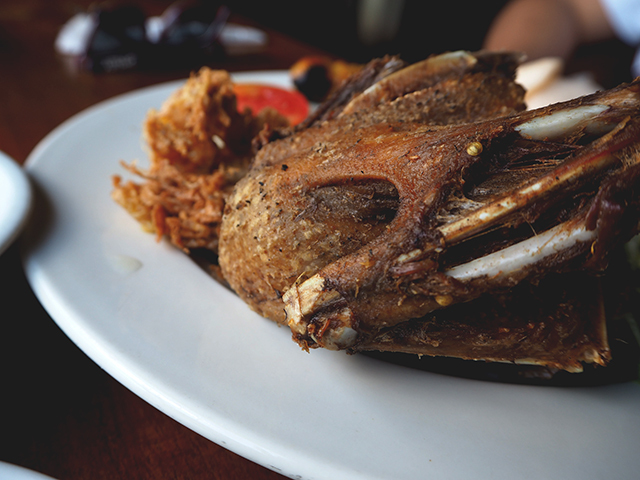 They are famous for their fried duck – which is the best I ever had! 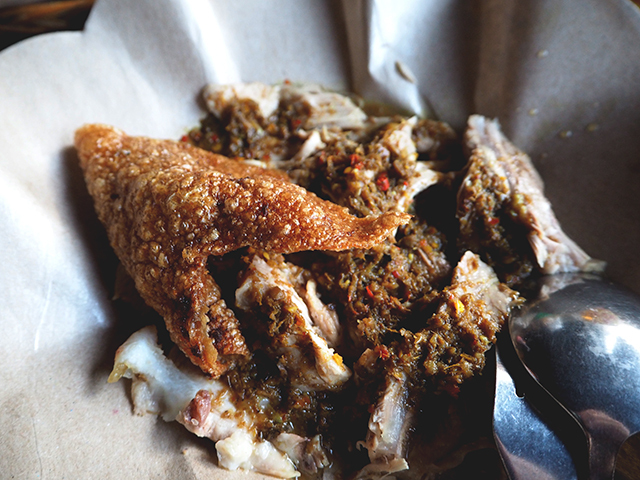 It's crispy, it's bones are so crunchy and meat so tender, and the sauces served together were just amazing! 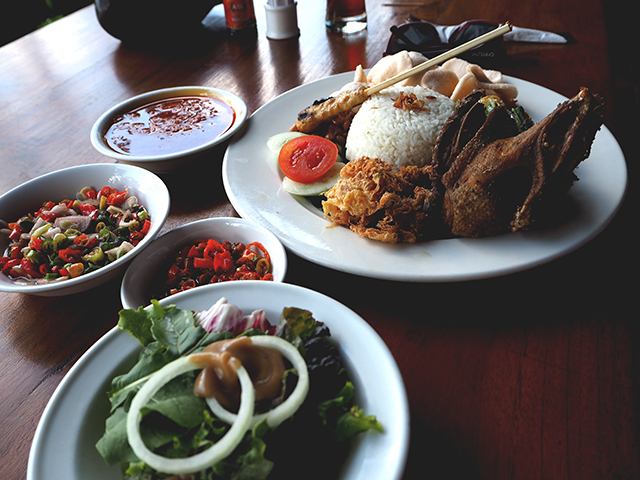 I was so crazy over this meal that we found another branch in Kuta (but without the paddy field) just to have a last taste before we head off to the airport. It is that good! 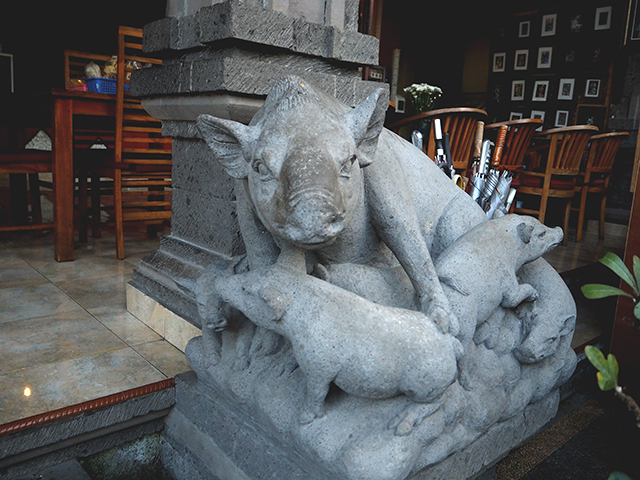 You should probably come to the Ubud branch for the whole experience, the restaurant is so lovely! 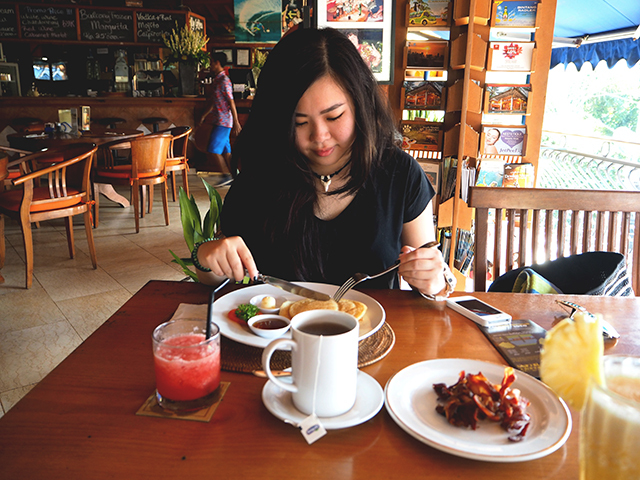 This pretty much sums up my meals in Bali – the good and the not-so-great. Let me know what you think, or if you have different experiences in some of the restaurants I mentioned here. Would like to know! I don't have to be. "la mer for hot climates"
All images and text here are the intellectual property of Michelle Lim, owner of the blog site www.coquettishmish.com, and related third-party ownerships. Any use, reproduction or re-quoting of the materials here can only be done with expressed permission from the blog owner, and should be duly credited where necessary.